Located on China’s long southeastern coastal flank, Vietnam, Korea, and even Japan had long participated in an East Asian civilizational world based on the Middle Kingdom. For centuries overland and maritime routes channeled administrators, Confucian scholars, Buddhist monks, artists, and political theorists to and from the Middle Kingdom and beyond. Vietnam and Korea may have resisted the colonial ambitions of their immense northern neighbor, but they had, like the Gauls dealing with the Romans, borrowed heavily from the Chinese political, social, religious, linguistic, and cultural canon long before Atlantic ideas arrived. Chinese monks spread Mahayana Buddhism through these East Asian kingdoms and further into Southeast Asia thanks to the overseas Chinese merchants and migrants. Local kings often requested these religious elites as part of their own state building efforts. To varying degrees, Vietnamese, Korean, and Japanese leaders borrowed Confucian political, social, and cultural theories to structure their states and establish political order. The Vietnamese and Koreans imported and adapted the Chinese civil service system and the Confucian philosophy and examination system on which it turned in order to consolidate their rule and build their own states. And just as Latin remained the lingua franca of the post-Roman European dynastic states, writing systems, and the Catholic Church, Chinese ideograms served similar purposes in this East Asian world. Vietnamese and Korean candidates studying feverishly to pass civil service exams had to be able to read and write in classical Chinese characters, not in their native writing systems. 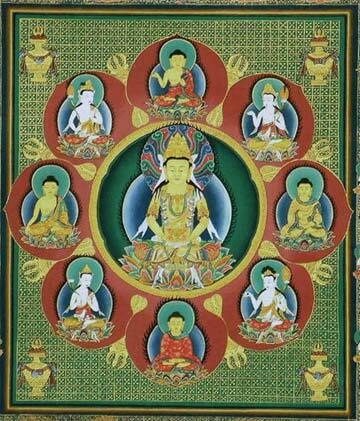 The Vietnamese Mahayana Buddhist canon remained in Chinese characters until the 1930s. When the remarkable Vietnamese man of letters, Le Quy Don, travelled to China, he exchanged ideas with his East Asian counterparts thanks to their common mastery of Chinese characters. Even if they were unable to speak Chinese, they communicated quite nicely through “brush conversations”. Through this East Asian channel, Atlantic ideas of Republicanism, Constitutionalism, and Nationalism first entered Vietnam at the turn of the 20th century, rather than through the French Third Republic’s colonial state; colonial encounters in Paris; or in French. However, a major shift occurred in this China-centered East Asian world in the late 19th century, just as the French created their colonial state of Indochina. Thanks to its rapid modernization free of direct Euro-American colonization, Meiji Japan (1868-1912) sought to replace the seemingly sick Chinese giant by transforming itself not only into a nation-state with a constitutional monarchy, but also into an imperial state on par with the Euro-Americans by joining them in the attack on China and its tributaries. By the turn of the century, the Meiji navy had not only inflicted a military defeat on the Qing over Korea and colonized Taiwan, but Japan had also become home to an array of official and unofficial organizations, publishing houses, and institutes promoting a Japanese-centered Asia based on common cultural and racial ties (borrowing heavily from European colonial and racial theories). The Japanese defeat of the Russians in 1905 further shifted the East Asian center of gravity away from China. Japan had already become the main port of entry for a host of new ideas coming from the Atlantic, many of which were in turn translated, adapted, and recast by Japanese philosophers, political theorists, educators, writers, and statesmen of the highest caliber. 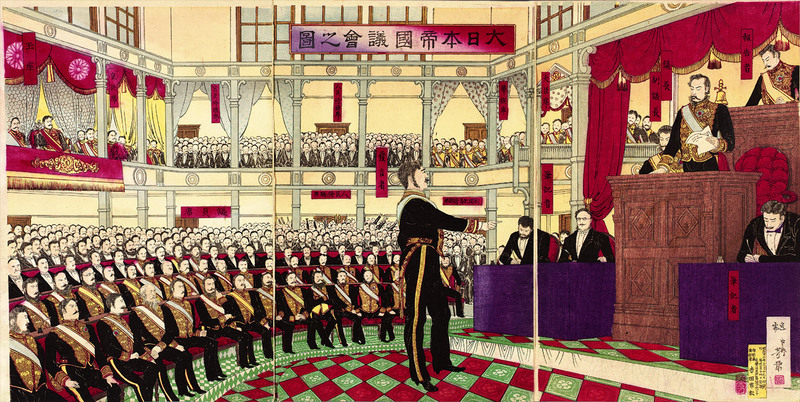 Though hardly in agreement with Tokyo’s colonial policies, Liang Qichao, Kang Yuwei, Sun Yat-sen, and a host of Vietnamese and Koreans travelled to Japan at the turn of the century in the hope that Meiji would help them remake their centuries-old monarchical states and provide them with the knowledge and models they needed to do so successfully. East Asians latched on to Nakae Chomin’s translations and comments on Jean-Jacques Rousseau’s oeuvre. Men like Liang found it easier to learn to read Japanese than French and devoured easily Chomin’s commentary on the Social Contract written in classical Chinese. Enamored, Liang set to translating Rousseau’s chef d’oeuvre into Chinese from his exile in Yokohama, writing as he got started in 1901: “The best and closest way for reforming the dictatorial Chinese system would be that China become the country which Rousseau longed for in his writings”. The Vietnamese were keenly aware that Japan had become the new cosmopolitan center in their East Asian world. Although the Third Republic may have divided and conquered all of Vietnam by 1885 and placed it within a new Indochinese colonial state by 1887, the French could not remove overnight Vietnamese elites from the networks in which they had circulated for centuries. For one, the French hardly had enough troops on the ground or the technological ability to monitor and control continued Vietnamese exchanges. Until the redoubtable Sûreté générale appeared in 1917, hundreds of Vietnamese elites boarded vessels in Saigon and Haiphong bound for Guangzhou, Shanghai and above all Tokyo and Yokohama. Nor did the French have enough trained administrators to do away with Vietnamese mandarins. Few French administrators could speak Vietnamese let alone work in Chinese characters, still the administrative language of the country. Instead of uprooting the pre-existing state and its civil service, the French maintained the largely powerless monarchy and took over the bureaucracy in order to rule indirectly through the mandarins. In 1907, the future governor general of Indochina, Pierre Pasquier, waxed lyrically over this “admirable provincial administration that constitutes a wonderful instrument for governing”. This was also why the French kept the Confucian-based examination system in place until 1919. This had the unintended effect of reinforcing elite connections to their pre-existing East Asian civilization via the continued use of Chinese characters. 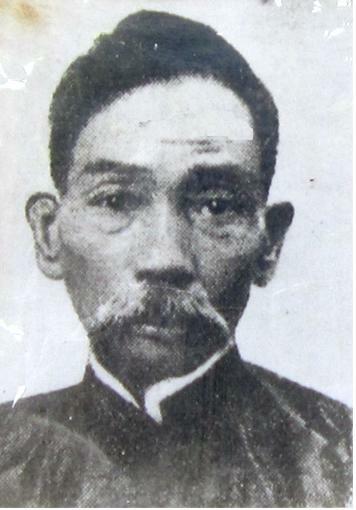 While colonial authorities simultaneously pushed the use of French and latched on to the Romanized Vietnamese language, quoc ngu, for administrative purposes, neither French nor quoc ngu could immediately replace the centuries-old use of Chinese characters for administering state, intellectual, cultural, and religious affairs. While more and more Vietnamese reformers embraced the Romanized language in order to modernize and spread ideas more rapidly among the population, the French maintained the Confucian-based civil service exam operating in characters until 1919. The French thus reinforced East Asian connections. Similarly, they may have terminated the court’s tributary missions to Beijing, thereby ending the monarchy’s ability to import books, information, and models freely from China, but the French also provided a substitute by accelerating Chinese immigration to Vietnamese port cities to help them get their new colonial state off the ground. As Sun Yat-sen knew, many of the Chinese living in Indochina and elsewhere in the Asia-Pacific were avid readers of “new books” (tan thu) and “new journals” (tan van); they were also polyglot, often highly educated, and sympathetic to reformist, nationalist, anti-Qing, and Republican ideas. There was thus no shortage of Atlantic world books in translation and on sale in overseas Chinese bookshops in Haiphong, Hanoi, and especially Saigon-Cholon. Scores of overseas Chinese papers promoted reformist ideas within Vietnam. A handful of Vietnamese mandarins could speak Chinese; some were the children of Sino-Vietnamese marriages. But even if they could speak no Chinese, they could easily order their books by writing the titles down in characters. As one French official reported at the time: “The majority of Chinese residents in Indochina are in sympathy with the (Chinese) revolutionary party, and it is in part by means of the journals they receive, as well as their remarks and their conversations, that they contribute to the spread of new ideas among the Annamite population”. They did so thanks to Chinese skippers carrying papers and books from one port to another as they had done for centuries. “Thanks to their knowledge of characters, the literati recopy the articles which interest them. These are then put under their robes and smuggled to the most distant villages”. It was not until the 1920s that French colonial schools in Vietnam began producing a new generation of Vietnamese truly at ease in French and quoc ngu. And this was how the writings of the fathers of modern Republicanism, Montesquieu and Rousseau, entered Vietnamese minds in Chinese translation, via Asian networks, and in brush conversations with Japanese and Chinese thinkers in Japan, rather than in the French original and via French Indochina. This was how the two famous Vietnamese Republican patriots, Phan Chu Trinh and Phan Boi Chau, first discovered Atlantic ideas: in Chinese translation via Vietnamese port cities. Colonial authorities understood the staying power of this East Asian world and its hold over the very elites they wished to administer. A member of the Ecole Française d’Extrême Orient reported in 1910, “the works of Kang Youwei continued to be coveted and circulate in the colony, despite the bans imposed on all sorts of Chinese brochures of any kind”. 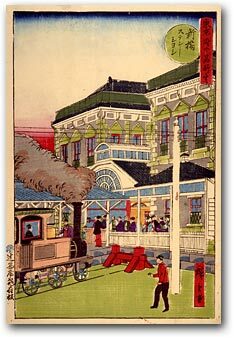 One reason why Governor General Paul Beau initiated a reformist program in Indochina in 1905, including the introduction of Western-styled elementary schools and even an “Indochinese University”, was to combat the pull of East Asian reformism (especially Japanese) over his mandarin elites. 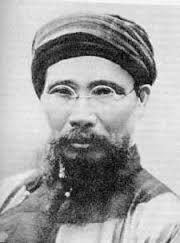 In 1905-1908, there were more Vietnamese studying in Japanese schools and universities (about 200) than in France! Little wonder the Japanese provided Vietnamese with the models they used to produce new words in their languages for such notions as “revolution”, “citizen”, “republic”, and “nation”. Although the shift to Japan in the East Asian world was new, the “voyage to the East” (Dong Du), as the Vietnamese called it, was not. And this is why the history of early Republicanism, Constitutionalism, or reformism in Vietnam cannot be fully appreciated without making these global connections of which the French were but one part. Liam Kelley, ‘Vietnam as a ‘Domain of Manifest Civility’ (Van Hien Chi Bang)’, Journal of Southeast Asian Studies, vol. 34, no. 1, (February 2003), pp. 63-76 ; his Beyond the Bronze Pillars: Envoy Poetry and the Sino-Vietnamese Relationship, Honolulu: University of Hawaii Press, 2005 ; and Alexander Woodside, Lost Modernities, China, Vietnam, Korea, and the Hazards of world History, Cambridge, Harvard University Press, 2006. Lionel Babicz, Le Japon face à la Corée à l’époque Meiji, Paris, Maisonneuve & Larose, 2002. Han Weihua, ‘Jean-Jacques Rousseau mal lu », Le coin des penseurs’, no. 24, (November 2013), p. 2. Emmanuel Poisson, Mandarins et subalternes au nord du Viêt Nam : une bureaucratie à l’épreuve (1820-1918), Paris, Maisonneuve & Larose, 2004. Cited in Pierre Brocheux and Daniel Hémery, Indochine, la colonisation ambiguë, Paris, La Découverte, 2001, p 93. For earlier periods, see: Li Tana, ‘The Imported Book Trade and Confucian Learning in Seventeenth- and Eigteenth-century Vietnam’, Michael Aung-Thwin and Kenneth Hall, eds. New Perspectives on the History and Historiography of Southeast Asia, London, Routledge, 2011, pp. 167-182. Cited by David Marr, Vietnamese Anticolonialism, Berkeley, University of California Press, 1971, p. 125. Christopher Goscha, ‘Le barbare moderne: Nguyen Van Vinh et la complexité de la modernité occidentale au Vietnam colonial’, Outre-Mers, Revue d’Histoire, no. 332-333, vol. 88, (December 2001), p. 342. Vinh Sinh, ‘Chinese Characters as the Medium for Transmitting the Vocabulary of Modernization from Japan to Vietnam in the Early Twentieth Century’, Asian Pacific Quarterly, (October 1993), pp. 1-16.